M-Pesa revenues soar: Kenyan mobile network operator Safaricom has reported a 56% increase in revenue for its M-Pesa SMS-based mobile payments service during 2011. 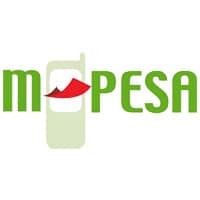 With almost 14 million users, representing 81% of Safaricom’s customer base in Kenya, M-Pesa now accounts for 12.4% of the operator’s total revenues, offsetting the decline in voice revenues. “Mobile money has become a clear competitive advantage for operators in developing countries,” says the GSMA. Google tests Groupon rival in Portland: After opening for beta test applications a month ago, Google has begun testing its Offers service in Portland, Oregon, as it steps up its challenge daily deals services like Groupon. The service delivers local bargains to smartphones and is set to become a core component of the recently announced Google Wallet service. Tyfone expands management team: NFC microSD and mobile financial services developer Tyfone has added four new names to its management lineup. Todd Nuzum joins as vice president of technology, Mark Miyamoto as director of sales, Aparna Battula as director of engineering and Mahendran Kathiresan as director of global alliances. NXP launches NFC partner programme: NXP has announced the launch of an NFC partner programme in China and Taiwan, designed to support mobile phone and consumer device manufacturers wanting to integrate NFC into upcoming designs. Silicon Valley Bank picks EMV: Gemalto has been selected by California-based Silicon Valley Bank (SVB) to deliver EMV chip payment cards for their entire cardholder base, many of whom travel abroad frequently. British consumers ‘not comfortable’ with location-based services: 61% of UK consumers are not comfortable with businesses using location-based technology to pinpoint their whereabouts, even if it would improve their customer service, research from Ovum has revealed. Amazon joins online deals market: Online retail giant Amazon has become the latest company to move into the daily deals space with the launch of AmazonLocal, an online marketplace that will allow its customers to buy vouchers or deals that can be redeemed against goods or services from businesses in a customer’s local area. The service has launched in Boise, Idaho, and offers deals that save customers more than 50% for a limited period. SCM launches ‘plug-in’ NFC reader: SCM Microsystems has launched a compact NFC reader that enables NFC peer-to-peer functionality to be added to a wide range of devices and equipment, from handheld card readers to POS terminals and vending machines. The SCM3712 reader is a module that connects to a device via USB to make it NFC-ready and enable contactless, secure data exchange for applications such as cashless payments, ticketing, electronic ID and loyalty couponing. Elephant Talk to unveil NFC mobile wallet platform: ValidSoft, part of B2B mobile communications and data provider Elephant Talk, is to introduce an NFC-based secure mobile wallet and payments platform later this year, according to Seeking Alpha.